Designed for robustness and high breathability, the Assynt jacket is ideal for field sports, bushcraft and outdoor photography. It has deep bellow pockets, hand-warming pockets, a map pocket and a roll-away wired hood. Cotton Analogy® makes the Assynt Jacket ideal for high activity combined with periods of inactivity; an alternative product in Ventile® is the Glencoe Double Ventile® Jacket. 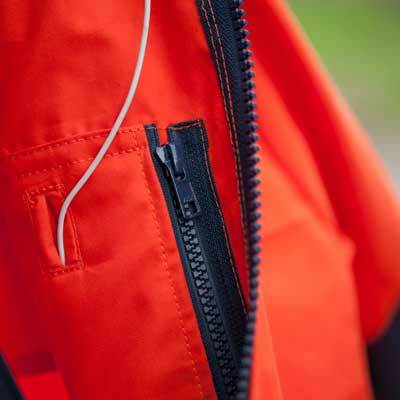 The jacket's roll-away hood reduces flapping and smartens the jacket for town use. The sleeve design provides freedom of movement and it is durable and quiet, making it perfect for field sports, nature watching and photography. Assynt is a beautiful wild area in the North West of Scotland where small mountains rise above moorland studded with lochans. Find out more in our Glossary. It looks like it will be good ,however the bellow pockets ought to have drain holes to allow water out, if you have it open to access cartridges in inclement weather.I have called it Rick as I think it will be a long friendship(casablanca- end of).